If you’re here, you love Android apps and you want to have them on your PC as well. Well, you’re in safe hands. I will guide you through every possible option to bring the Android magic to your laptop. Just hang on for a while… patience is often rewarding! Soon there will be PCs that will let you choose between Windows OS and Android OS. At least this is what sources at Intel are saying. But even if this doesn’t happen anytime soon, you can still run Android apps on a computer even without installing a new OS. The trick will be revealed later. You will have to show some patience for rewards. 1) Mobile emulators offer an excellent solution for anyone trying to run Android apps on PC. However, this isn’t the only way to test mobile apps. 2) You can boot your desktop with Android OS without having to install Virtualbox (explained later). In this case, you will install Android operating system alongside Windows. You will be asked to choose whether to start your computer with Windows or Android when booting up. 3) You can install Virtualbox and install Android OS inside it. This method is also explained in detail later in this article. Continue reading for tutorials and reviews of free emulators. The easiest way to run mobile apps on a laptop these days is to use a free emulator like Bluestacks or Android official emulator. Android official emulator comes with a full developer toolkit which means you will need to download Android SDK as well as a number of libraries to finally run the emulator. Moreover, when you want to run the official emulator, you need to start development studio and from there you can start the emulator. That’s a lot of clicks and programs to run. Bluestacks and other standalone emulators are good at what they do. They emulate an Android operating system inside your Windows or Apple. There are no additional programs and you don’t really need to install anything like SDK. But still, if you are also interested in trying development, you’d be better using the official emulator. For everyone else, a free standalone emulator is all you need. Some free standalone options are Bluestacks, Genymotion, Andy, and driod4x. To make it easier for you to pick an emulator, I’ve reviewed all of them based on my personal experience. I’m going to review two top emulators since these are ones I personally use. If you need more, go ahead and dig reviews in forums for other emulators as well. But I’m fairly sure you will pick one of these two. Bluestacks is great. Setting it up is ridiculously easy. Installing new games is as simple as doing it on an actual Android phone. 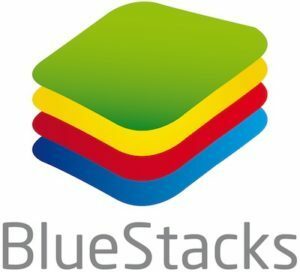 Although Bluestacks has focus on games mainly, it does fairly well with other apps. With some high-end games that aren’t listed on Bluestacks website, you might face performance issues. 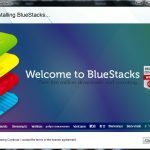 Bluestacks is a great tool when it comes to basic features. It lets you sideload apps and sync app data with mobile. Unfortunately, these are the only two features that you get with this program. But don’t be disappointed, the next emulator offers better features. 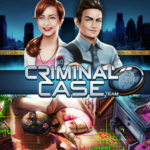 Where Bluestacks lacks, Andy comes in as a free option. It’s a basic emulator with plenty of extra features to keep you interested. Andy is actually better compared to Bluestacks when it comes to stability and performance. It plays apps much better compared to Bluestacks. In fact, Andy can play some of the games better than latest smartphones. It’s a clear winner when it comes to performance. READ How to Download and Install Periscope for PC? With Andy, you get almost same features as your phone. So expect to have notifications, widgets, and other standard Android features such as sideloading. You can even install third-party launcher apps when emulating Android using Andy. This emulator is definitely the perfect option for those looking to try something better than Bluestacks. If you want a more dedicated Android operating system environment than what you get with an emulator, then you need to go this route. Install mobile OS on your PC so you can run your gamses. Fortunately, it’s easy as you’ll learn later. 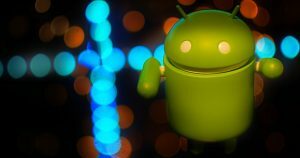 There is no official Android OS port for x86 computers but you can still make it work using a community-developed version. This community project has ported Android OS to x86 platform. Is there an easy way to install this operating system? Everyone can take this project and install it on their PCs just the way you install Windows. To get this port for your desktop, find the official website for this project and download the operating system files from there. A word of advice – don’t install Android OS on your work computer. It’s a community project and it’s not stable. Install it on a PC that no one uses anymore. This OS can run even on outdated hardware. For more information how to install Android 86x go here. 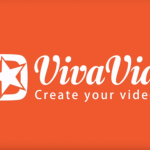 If you don’t want to dual boot your machine with Android 86 and Bluestacks isn’t your thing, you’re left with the last option to play your favorite apps on your desktop – that is to run the mobile operating system inside VirualBox. 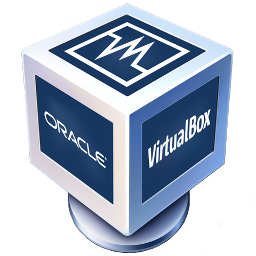 VirtualBox let you emulate an operating system of your choice within Windows environment. As I promised earlier, I won’t leave you alone on this treacherous path. Follow instructions below to run Android OS on Virtualbox. Download Virtualbox from the official website. Once downloaded, double-click the installer file. Follow on-screen instructions to complete installation of Virtualbox. Now run the program by double-clicking its icon on your desktop. Now you need to figure out a way to install Android OS in Virtualbox so that you can play all those crazy games and use your favorite Android apps on PC. Follow instructions below to create an Android virtual environment. Click the NEW button on the left top. Provide details for your new OS. The wizard will ask for virtual Android-86 image. You can download one here. On the next screen, you will need to create partitions for your new operating system. After creating partitions, select one of them as primary and make it bootable. Now exit partitioning utility and reboot your virtual machine. Now you should be able to boot up Android in your virtual machine like any other OS. It’s running on my PC screen – now what? When you are able to run mobile apps on PC, you can play your favorite games on a bigger screen. Imagine playing Traffic Rider on PC. You will find a number of other console-quality games in Play market that are great fun to play on a bigger screen.